For Dr. 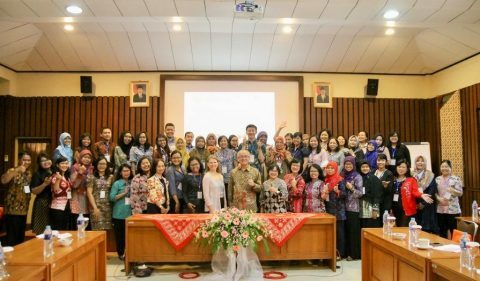 Dawn Bikowski, a trip to Indonesia was a chance to give plenary and workshop presentations, meet with alumni, and make new connections. Bikowski, Director of the English Language Improvement Program’s Academic & Global Communication Program in the Linguistics Department, gave the opening plenary for the Task Design and Techniques in Engaging Students with the Perspectives of Global Englishes conference in Yogyakarta, Indonesia. 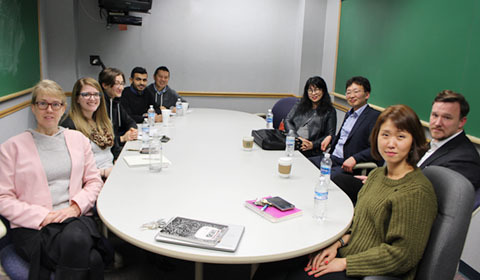 Duta Wacana Christian University hosted the event and provided the perfect opportunity for Bikowski to meet with OHIO alumni, such as Antonina Suryantari (M.A. Linguistics, ’12) and Adrian Budiman (M.A. International Studies ’03, Ph.D. Media Arts and Studies ’08). 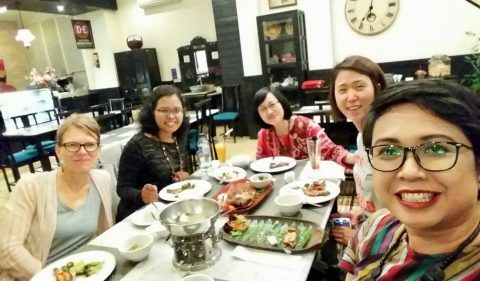 Dinner with the Duta Wacana Christian University English Department faculty led to talk of future collaborations and projects. Dr. Keira Park, ELIP Lecturer, was happy to join and discuss online joint certificate projects between the universities. 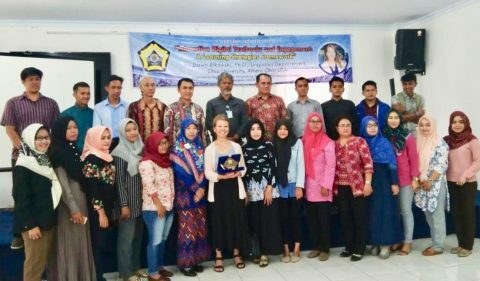 Leaving Yogyakarta, Bikowski made her way to Bengkulu University on Sumatra, where the department has ties due to former Chair and the late Dr. Richard McGinn and to Bengkulu Professor Dr. Arsyad Safnil. Bikowski shared insights and led a discussion on materials creation and learning in digital environments. In Jakarta, Bikowski enjoyed presenting about digital resources for language learning to the faculty across campus at BINUS University. ELIP’s new Southeast Asian Project Instructor and Coordinator, Sudiman, commented about how impactful the trip was, not only for OHIO but for the Indonesian universities as well. “This trip was a great opportunity for the program to make new contacts and build on relationships across Indonesia,” he said. The trip fell right after a visit to South Korea for another project collaboration. “Working in Asia and Southeast Asia, it’s an exciting time for US universities,” Park noted. Budiman, not Sudiman. Hey, Adrian! Good to see your name. Greetings from me and hubby David Mould! Sudiman is our Southeast Asia Project Instructor for the Online Joint-Certificate Program, that was who was being referred to at the end of the article rather than Adrian Budiman. I can see how that would be confusing!